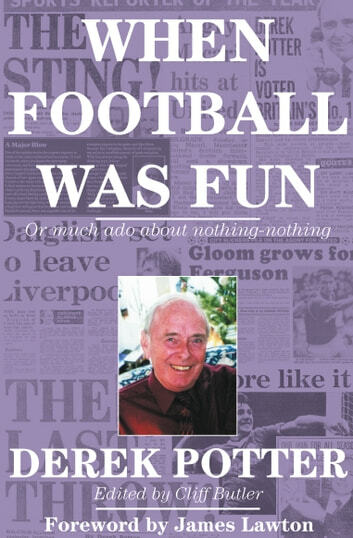 Over 40 years spent at the cutting edge of football reporting for "The Daily Mirror," "Daily Express" and "Today" newspapers, gave Derek Potter a unique insight into the characters of legendary personalities in the game. The only non-London based winner of the prestigious British Sports Council Reporter of the Year award, Derek broke many exclusives and became 'The Man Football Can Trust'. Chief among them was the story of Robert Maxwell's attempt to purchase Manchester United from Martin Edwards, alongside endless exclusives detailing transfers, sackings and bust-ups. Featuring a cast of legends such as Bob Paisley, Sir Matt Busby, Denis Law, Sir Alf Ramsey and Bobby Charlton, this book takes an inside look at the Golden Age of football. Sadly, Derek died in 2006. His funeral attended by many of the great and good featured in "When Football was Fun", a unique memoir, this book serves as a superb epitaph.